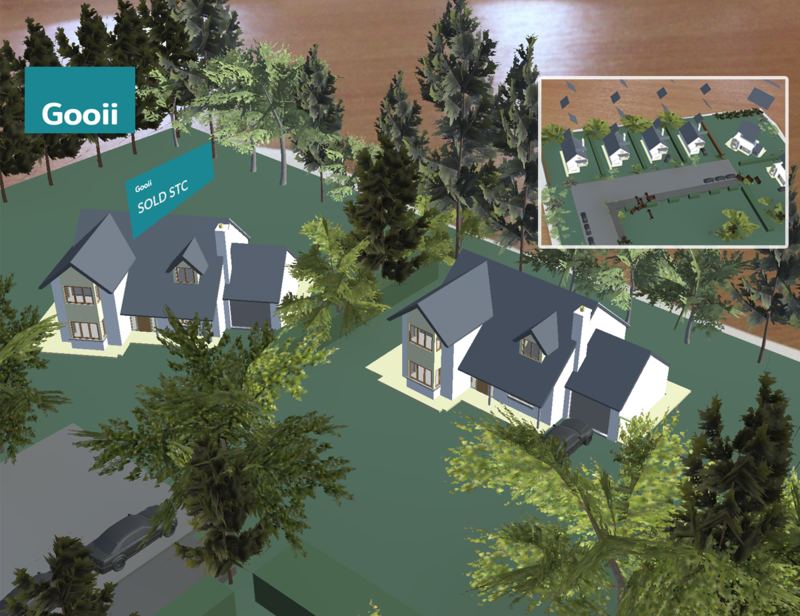 Augmented Reality Architectural Model - Gooii: Award Winning Website Design & App Development Nottingham. iPhone, iPad & Android Apps. Virtual Reality & Augmented Reality. A fantastic Augmented Reality architectural model project. The traditional printed drawings are laid out on a desk but by using a tablet, the clients can now see the houses start building on top of the drawings right in front of them, including the landscape growing out of the ground and gently maturing. Couple this with a live link to a database to feed house specifications, interior views and their status to the model, this offers something quite unique to any construction company, architect or estate agent. This technology can also be integrated into your current website so contact us today.